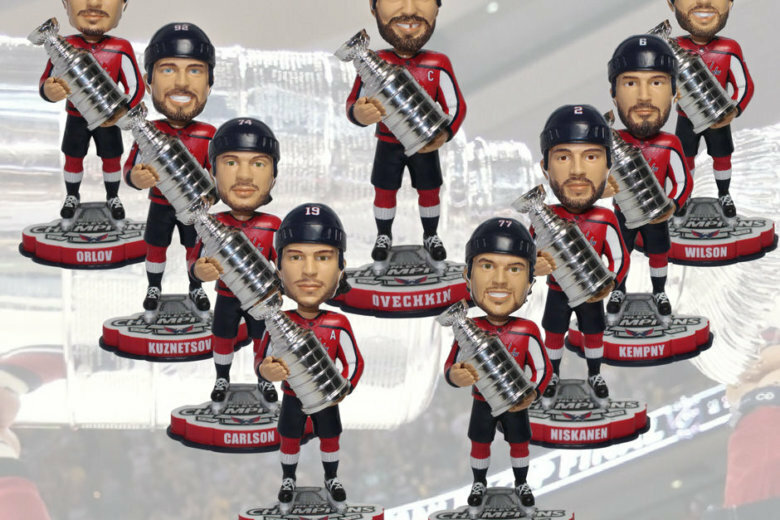 Just a few days after going on sale, the Capitals Stanley Cup Champions bobbleheads have been among the most popular NHL championship bobbleheads produced and the company that makes them are adding some more options for fans. WASHINGTON — Capitals fans have been waiting a long time for the team to win its first Stanley Cup. Fans hoping to commemorate the Caps win in a unique way may want to consider shelling out $900 for a 3.5-foot-tall Alex Ovechkin bobblehead. Now that the longtime dream is a reality, fans are snapping up a lot of memorabilia to commemorate the win, especially bobbleheads. “After just a few days of going on sale, the Capitals’ Stanley Cup Champions bobbleheads have been among the most popular NHL Championship bobbleheads ever produced,” said Phil Sklar, the co-founder and CEO of the National Bobblehead Hall of Fame and Museum. The bobbleheads, which are licensed and produced by manufacturer FOCO, featured 14 Caps’ players including Alex Ovechkin, Nicklas Backstrom and Braden Holtby posing with the Stanely Cup. 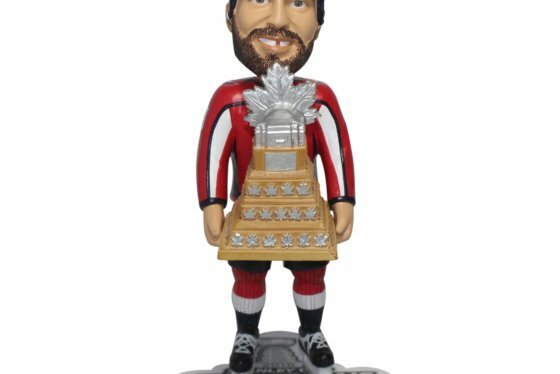 You also can get a bobblehead of Alex Ovechkin holding the Conn Smythe MVP trophy and the Caps’ mascot, Slapshot, with the Cup. The company received so many requests from Caps’ fans for bobbleheads, it said it is adding two more Capitals players that fans can order: Devante Smith-Pelly and Jay Beagle. Another bobblehead featuring Slapshot standing on a newspaper with the headline “ALL CAPS” is also available for order. It will cost you $40 for a single bobblehead. There’s also an option for a mini set of three players, Alex Ovechkin, T.J. Oshie and Tom Wilson, for $35. Those mini set bobble heads are only 3.5 inches tall. If you’d rather go the large route, you can get a 3-foot-tall bobblehead of those three players for $900. Collectors can get the complete set of regular sized and mini bobbleheads for $600. The bobbleheads should ship by October. If you want to expand your bobblehead collection to non-Caps players, like say Pittsburgh Steelers wide receiver Juju Smith-Schuster riding a bicycle (and really, who doesn’t want that? ), you can find the entire collection available for sale on the Bobblehead Hall of Fame’s website.